While there have been recent scattered protests (dubbed "Tea Parties" after a rather famous one in Boston one 235 years ago) against huge government expansion, economic control, bailouts, borrowing and spending, the day of the individual tax deadline, April 15th, was a day of concerted protests. The "Tax Day Tea Party" was an event held at over 500 locations all across the United States. 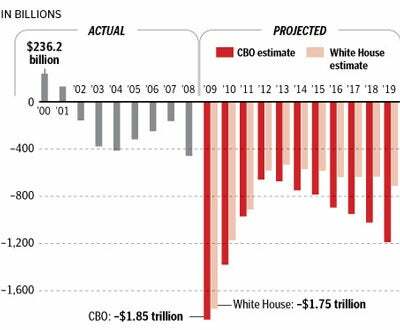 Yes, we’ve had budget deficits in the past. These and the ones to come are in a class all by themselves. Hence the outrage from all over the country. From Michigan to South Carolina to California (where the state GOP chair got boos) to Ohio to Kentucky to Atlanta (the largest crowd in the nation, as far as I know, at over 15,000). This was no localized phenomenon. This was a national movement. Alright all you right-wing thugs out there, now that tax day is over, Obama and his pals are saying you are dangerous and that your tax protests are an act of revolution. It is amusing that theyâ€™ve never said that with the many riots past and present spread by left-wingers in the US â€” after all little â€œright-wingâ€ violence has ever been seen here â€” but there you have it. Itâ€™s all YOU. Not the Animal Rights activists that constantly engage in assault, not the rock throwers of anti-WTO protests, not ACORN and union thugs, and not the Envro Nazis that have engaged in actual terrorism all across the country. YOU are the threat weâ€™ve been waiting for. And this CNN reporter, as well as the person in the studio who she returned to, seemed to have an agenda to pigeonhole the protestors rather than report the facts. CNN says Fox is a "rightwing conservative network?" How "rightwing" could Fox be if it gets more viewers than CNN, MSNBC, CNBC and Headline News — combined? Based on those numbers, who are the centrists and who are the extremists? He also points out the MIA MSM for the tea parties vs. the Code Pink / Cindy Sheehan coverage from Crawford, TX even though the size of the protest crowd was many orders of magnitude smaller. Oh, that liberal media. Jeff Emanuel, posting at RedState and commenting on this video, wraps it all up. These people simply donâ€™t get the fact that these modern-day tea parties arenâ€™t simply about taxes. Theyâ€™re about increased taxes and even more greatly increased debt, yes. But theyâ€™re also about the punishment of hard work and success through confiscatory government policy; about the replacement of age-old American equality of opportunity by government-mandated equality of outcome, and â€” perhaps most importantly â€” they are about current attempts by liberal politicians to interject government into the daily life decisions of ordinary American citizens. CNN reporter Susan Roesgen can try to control the focus of these tea parties all she wants by shouting at participants to talk only about taxes, but that just shows sheâ€™s missing the boat as badly as folks like Missouri Senator Claire McCaskill (Democrat), who posted to Twitter this afternoon that she was â€œconfusedâ€ why people were fed up with trillions in government waste. Itâ€™s okay; these people can not get it all they want. Those who participated (and are participating in) any of the thousand modern-day tea parties being held around the country today get it â€” and when this movement grows through 2009 and into 2010, and when its momentum is felt at the polls next year, theyâ€™ll start to get a clue just what magnitude a sleeping dragon they awoke with their profligate spending, their spreading of the wealth, and their encroachment into peopleâ€™s personal lives and decisions. We’ll see how this all turns out. This may not be over. 3 users commented in " The Tax Day Tea Parties "
I’m a ‘War Veteran’ who never protested a day in his life, but that ended on April 15 2009, when I raised my banner against big government and socialism. The flame was lit … and I will continue my march against … SPENDING, TAXES, BAIL-OUT’S, and to make change in … CONGRESS!